Known for its outstanding drift and consistent pull, the next generation of the Slash features subtle modifications for improved all-around performance. Constructed with Quad-Tex, the strongest kite canopy material available on the market featuring 4x-reinforced ripstop, this kite is built to last. A smaller leading edge and tapered wing tip delivers faster turning—a helpful feature for quick reactions in waves. The Shark Teeth Trailing edge enhances durability, lightens and balances the kite overall and further supports faster turns by providing better torque transfer from the leading edge to the trailing edge. 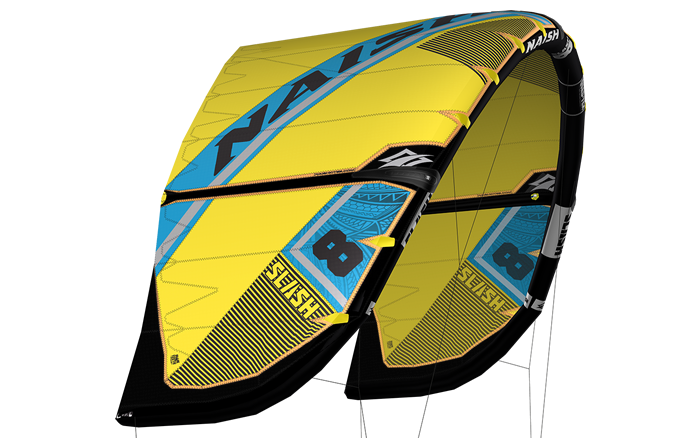 The addition of 11 m and 12 m sizes mean you can now ride in lighter winds and start perfecting those strapless airs.